Showing 40 articles from October 24, 2018. LOUISBURG -- The Franklin County Board of Elections met in closed session for nearly three hours on Tuesday, interviewing the precinct judge they removed from the early voting site in Bunn after receiving complaints that she exhibited biased behavior that intimidated and suppressed voters. But, after listening to Kay Dean, who was represented by attorney Ellis Boyle, polling place witnesses and a room full of supporters, county staff and officials said they needed more time to reach a conclusion. 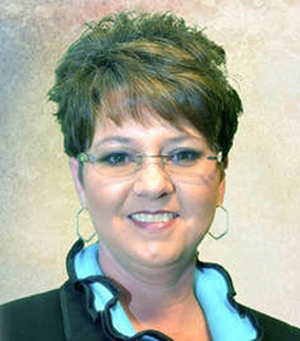 Franklin County Schools named Stephanie Brooks of Edward Best Elementary as its 2018-2019 Principal of the Year on Monday. Mrs. Brooks has a reputation of being an unyielding leader but treats all staff as family, school officials said. Her caring nature and investment in both her staff and students helped produce positive results in the school's performance, they added. LOUISBURG -- It's more than likely that a Franklin County teen accused of beheading his mother will spend the rest of his life under strict psychiatric care. 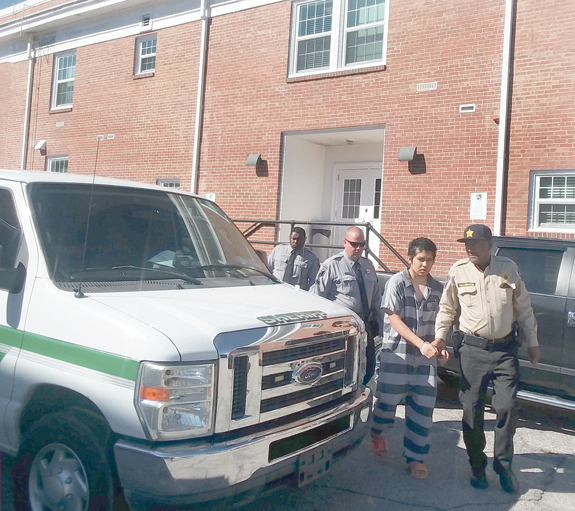 Superior Court Judge Henry W. Hight Jr. found Oliver Machada not guilty of first degree murder by reason of insanity following a hearing in Franklin County Superior Court on Monday. LOUISBURG -- Domestic Violence Awareness Month comes late in the year. The efforts to curb or stop acts of domestic violence and sexual assault start early on, though. 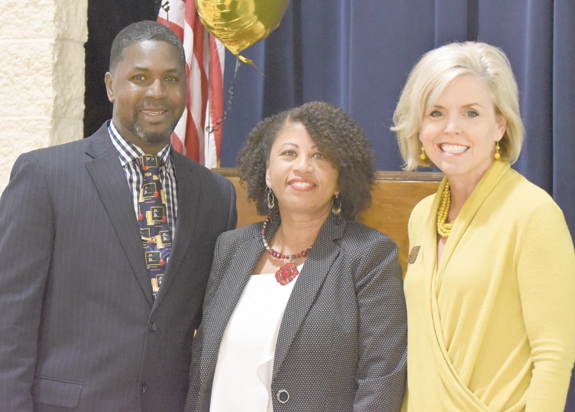 "... One of the things we will continue to do; that we're committed to doing, is looking at our young people and being that beacon of light that will give them a voice in our community," said Monica McInnis, director of Safe Space, the county's domestic violence/sexual assault service agency. 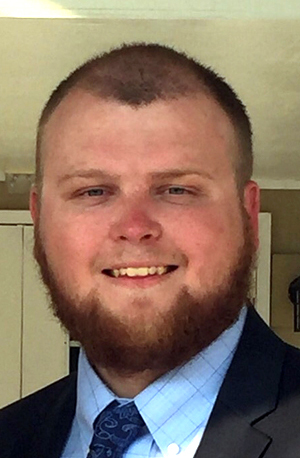 FRANKLINTON -- Commissioners agreed to let town staff move forward with negotiating the terms of a drainage pipe replacement that would expedite the completion of a renovation project that could transform the town. S.L. 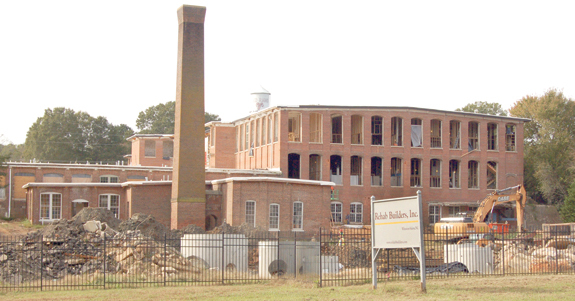 Nusbaum Realty is in the midst of renovating the Sterling Cotton Mill property, turning it into a nearly 100-unit apartment building. A pleasant sight and a dire warning to us all! One recent morning, before daylight, I was headed north on Main Street in Louisburg and saw something that was quite encouraging -- and finding encouraging sights these days is newsworthy. This was! The large "Emergency Room" sign at the former hospital was brightly lit and lights were on inside the emergency room as well. 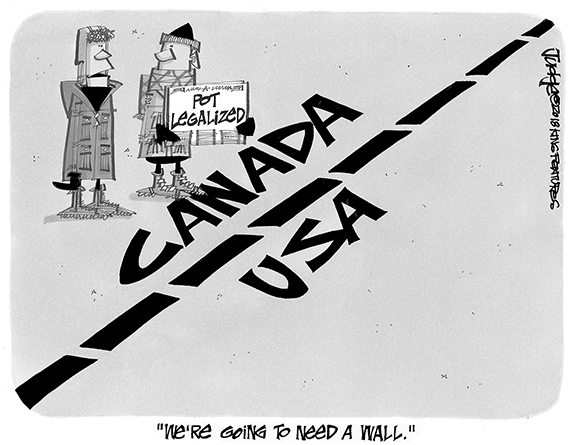 On those amendments, just consider voting 'no'! Early voters have already begun heading to the polls in this very important mid-term election that has the potential to have far-reaching implications for North Carolina. Sadly, those voters -- and the ones who will follow through Election Day on Nov. 6 -- are likely unprepared to make some of the most important critical decisions on the ballot. Being a reporter, I have all the expectations that you place on an unreliable friend you invite to a party. I don't have to really bring anything. Sometimes I'm late. And, circumstances may mean that I have to leave early. Due to the inclement weather from hurricane Florence, Franklin-Granville-Vance Smart Start could not hold the traditional Ducky Derby race on Garnett Street this year. With over 1600 ducks/tickets already purchased before race day, it was to have been an exciting and entertaining event for the community. 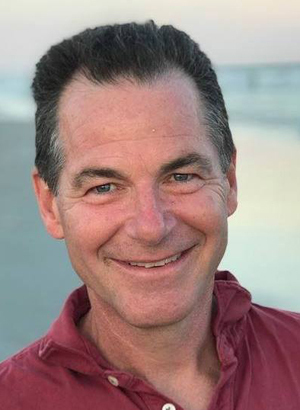 Dear editor: Thank you, Steve Trubilla, for writing the editorial "Nobody!" Learning life's most important lessons from an abandoned four-legged critter." 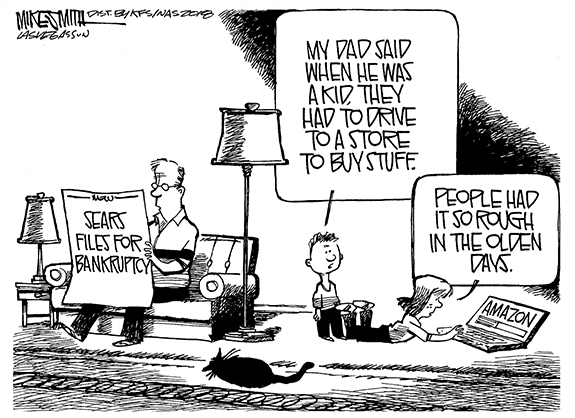 I am retired now and do more reading, especially The Franklin Times. Love the paper. Some of the articles sound like the gospel. SULLIVAN WITH THE SPIKE. 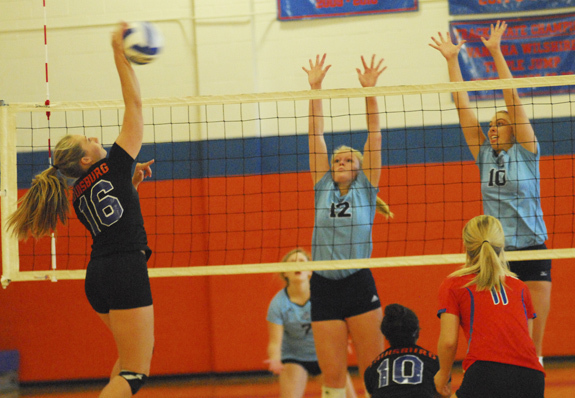 Louisburg's Adriane Sullivan (left) sends down a kill for the Lady Warriors during last Thursday's victory over South Granville in the championship match of the Northern Carolina Conference Volleyball Tournament. 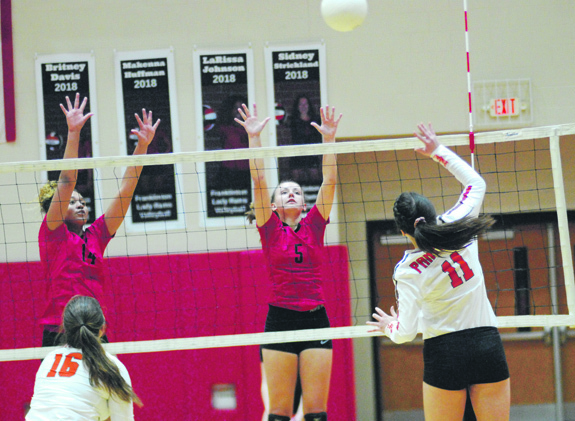 LOUISBURG -- In theory, the stakes weren't that high when Louisburg hosted South Granville last Thursday in the championship match of the Northern Carolina Conference Volleyball Tournament. After all, both clubs had already punched their high-seed tickets for the state playoffs -- Louisburg on the 1-A level and South Granville in the 2-A classification. DOUBLE BLOCK. 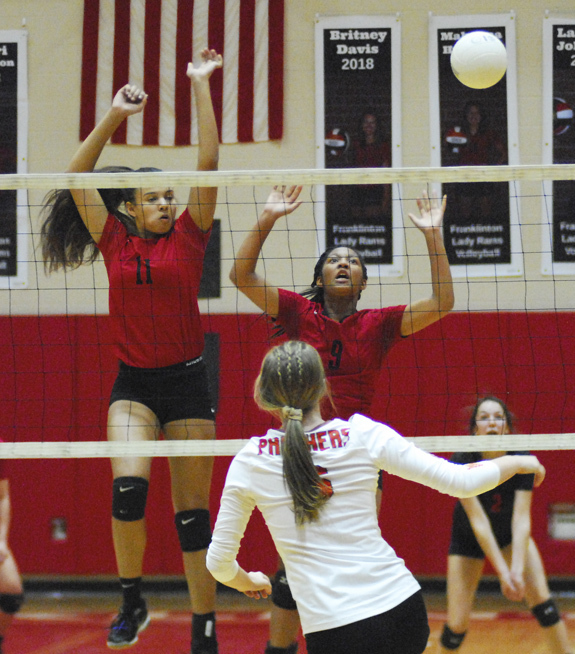 (L to R) Franklinton\'s LaRissa Johnson and Britney Davis attempt a block during Tuesday night\'s home playoff volleyball victory against Hillsborough Orange at the FHS Gymnasium. FRANKLINTON -- Before the season even started, Franklinton High School volleyball coach Crystal Barnes made it clear what her chief goal was for the 2018 spike campaign. 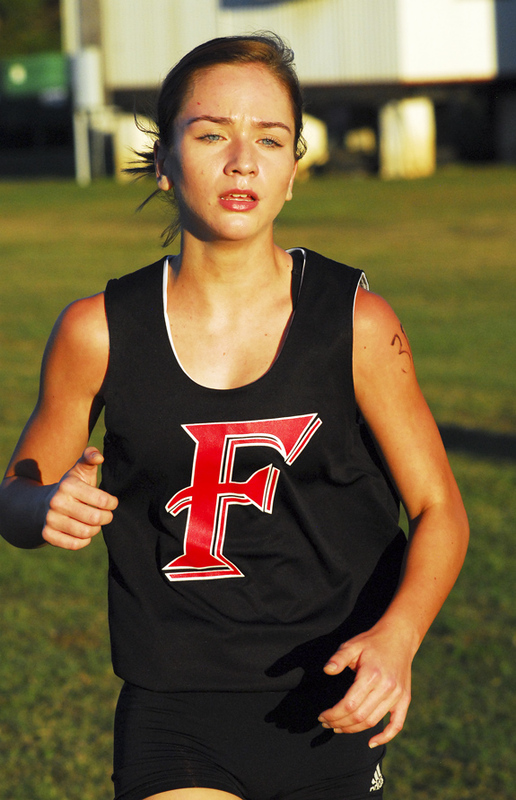 Certainly, the Big East Conference regular season and tournament championships are nice -- and Franklinton was able to successfully defend those titles -- but Barnes hadn't quite gotten over the fact that her Lady Rams were defeated last fall in the first round of the Class 3-A State Playoffs. OUT OF REACH. 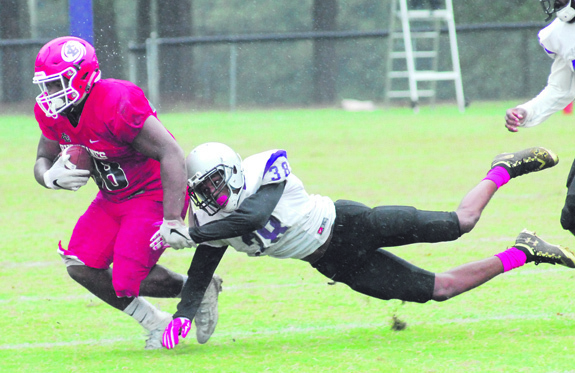 Louisburg College's Jacobi Emery (left) escapes a tackle attempt by a defender from ASA Miami during last Saturday's football showdown at Patterson Field on the campus of Louisburg High School. LOUISBURG -- A strong ASA Miami squad wasn't Louisburg College's only opponent during last Saturday's home football contest at Patterson Field on the campus of Louisburg High School. Both teams had to also deal with poor weather as a consistent rainfall meant for slippery conditions, especially when pertaining to hold on to the football. 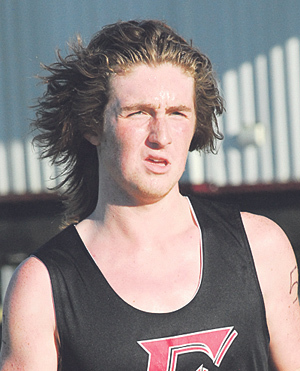 RED OAK -- The current and future state of area distance running collided last Wednesday at the Big East Conference Cross Country Championships. The boys individual champion was no surprise as No. 1 seed and long-time senior standout Jordan Richardson from Northern Nash pretty much raced against himself en route to an easy victory at the Red Oak Middle School Course. CREEDMOOR -- Bunn had only 96 hours to shake off the disappointment of an overtime loss to Granville Central -- and prepare for the Northern Carolina Conference's toughest football test in the form of the undefeated South Granville Vikings. The Wildcats' challenge last Friday was a tall one, but BHS responded to the moment, only to see the powerful Vikings pull away late to earn a 28-17 triumph over Bunn in a NCC thriller at the SGHS Football Field. SKY FORCE. Franklinton's Seth Davis (20) elevates for a header attempt against Southern Nash in the semifinals of the Big East Boys Soccer Tourney. 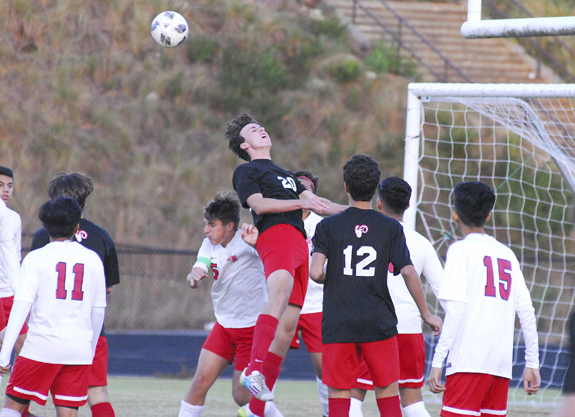 FRANKLINTON -- The Game of the Year in the Big East Conference Boys Soccer Standings came last week, when host Franklinton edged Southern Nash in a double-overtime thriller with second place in the league at stake. As fate would have it, the clubs would meet again Tuesday in the semifinals of the Big East Tournament on the FHS campus. TALKING IT OVER. Franklinton head football coach Jimmy Williams (left) discusses strategy with members of the Red Rams' offensive unit during last Friday's road football contest. RED OAK -- Just in case anyone thought their miraculous comeback victory two weeks ago was a fluke, the Franklinton Red Rams offered Exhibit B last Friday in their quest to break into the upper echelon of the Big East Conference football standings. 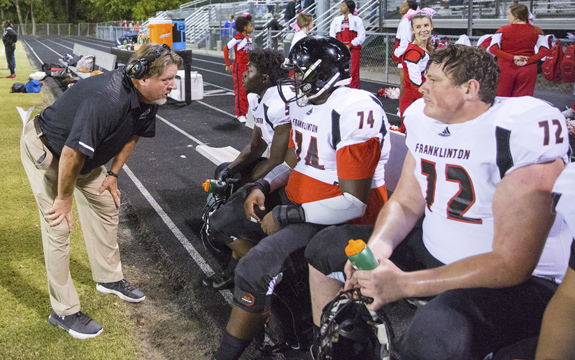 Certainly, Franklinton took a huge step during that earlier decision at Wilson Fike -- and looked to keep the momentum trending upward this Friday as part of another key league meeting at Northern Nash. OXFORD -- Keeping the ball on the ground proved to be a wise and bountiful decision last Friday for the Louisburg Warriors during their key Northern Carolina Conference football contest at Oxford Webb. Louisburg racked up 325 rushing yards and was strong defensively en route to defeating Webb by a 22-12 margin for LHS' third victory over its past four outings. Louisburg and Youngsville will be placing their downtowns on display this Halloween. For the second year, Louisburg will host Trick-or-Treat on Main, from 6-8 p.m.
Youngsville Main Street Businesses will host its first Trick-or-Treat on Main Street, from 3-6 p.m. Cooperative Extension helps create prosperity for NC through programs and partnerships focused on agriculture and food, health and nutrition and 4-H youth development. Cooperative Extension connects farmers, agribusinesses and communities with vital research-based information and technology. Extension offers a wealth of educational programs that address public health issues, improve economic well-being, and help people make healthier, better informed decisions. Farming can be challenging. The labor involved in an agricultural enterprise is a big part of that, but even more so are the business skills that deal with making an agricultural enterprise profitable. Making a profit is tougher in today's volatile economic environment, and farmers are looking for a way to improve their bottom line. A few weeks ago, the first Med Instead of Meds 6-week class series ended. During the six weeks, participants learned the seven basic steps to eating the Med Way while also enjoying Mediterranean dishes each week. Med Instead of Meds refers to adapting the Mediterranean way of eating to reduce the risk of heart disease and cognitive decline instead of relying on medications. If you want to join a dynamic, energetic group, then the Franklin County Beekeepers is the organization for you! During the last Wednesday of the month, the membership which is constantly growing, convene at the Franklin County Agricultural Building at 7:30 p.m. and learn the latest and best practices to successfully produce and market honey (bees) and honey products. Franklin County 4-H'ers have been busy the past few months as they prepared their crafts, produce, canning items, poultry, and livestock for the 2018 NC State Fair. We had an overwhelming 43 4-H'ers participate in the State Fair this year. There were 10 youth who entered items in arts/hobbies/crafts and 33 kids that showed livestock. I was asked a few months ago by a beloved lady in our small town to write about the foundations of farming in our county. Her great concern is that we have forgotten the very ones that cleared the fields which produced the bountiful harvest that sustained the founders of Franklin County. Who made the paths we now call streets? Who drove the teams of oxen, mules and horses that pulled the lumber from the sawmills to build the stores and homes that opened the gate for the birth of small towns? A greater sense of independence is often cited as the reason so many young people anxiously await the day they earn their drivers' licenses. But the connection between driving and independence is not lost on seniors, either. Aging can take its toll on drivers, prompting such drivers' families to feel as if their loved ones' ability to safely operate motor vehicles has been compromised. Marital status: Married to Melissa W. Dunlow for 26 years. 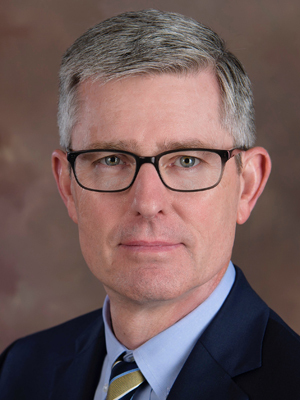 Four running for Hight's Superior Court post :Lawrence Tickle, Jr.
Editor's Note: Judge Henry W. Hight Jr. holds this seat, but opted not to seek re-election. 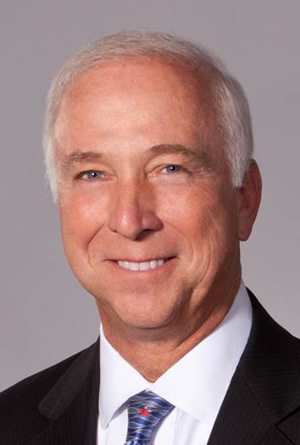 Four people, including Steven Hight, are seeking the seat. 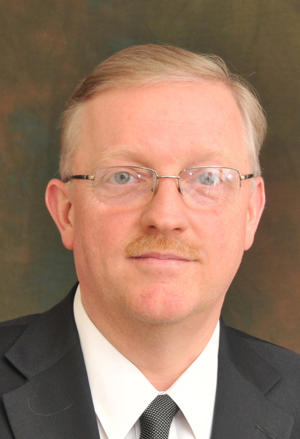 Steven Hight, no relation to Judge Hight, did not respond to our request for feedback. Wake Forest artist Christy Colebank demonstrates leatherwork. DEBATE IN THE RAIN. The second-annual debate between Alexander Hamilton (Wally Hurst) and Thomas Jefferson (Bill Barker) went on as scheduled despite periodic showers that failed to dampen spirits at the "River of Yesteryear" festival last Saturday in Louisburg. 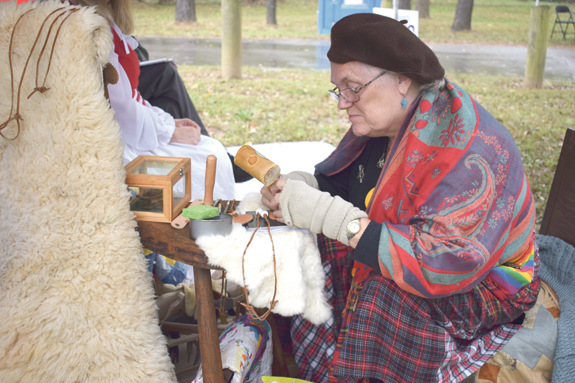 The event featured a step back into Colonial times, although many of the scheduled craftsmen did not attend because of the weather. YOUNGSVILLE -- A Youngsville police officer began duty at the town's elementary school this week -- using a grant provided by the school system. During the Younsville Board of Commissioner's Oct. 11 meeting, Superintendent Rhonda Schuhler presented the town with a nearly $25,000 check, their portion of a grant designed to enhance school safety. Name: John McKnitt Alexander Jr. 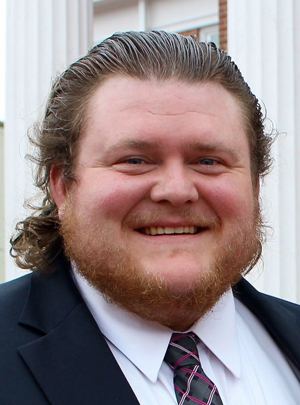 The three candidates running for the State Senate District 18 seat will be taking over for Sen. Chad Barefoot, who opted not to seek re-election. Candidate Brad Hessel did not respond to our request. 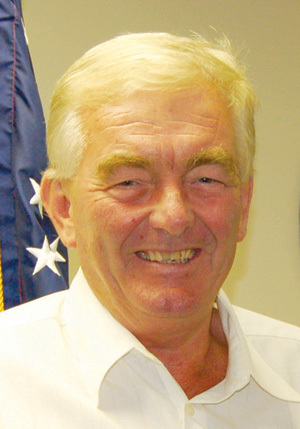 At about the time new election lines were drawn, putting Barefoot and Sen. John Alexander in the same district, Barefoot opted not to seek re-election, saying that he wanted to spend more time with his family.